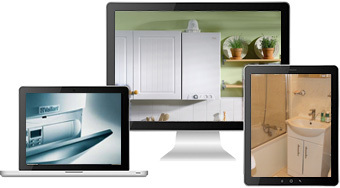 We are able to offer services in Gas, Heating, Plumbing and Bathrooms. 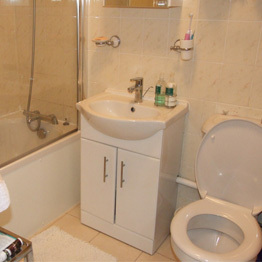 AM Gas and Plumbing - Plumber in Ealing - Plumber in Hayes. Our engineers have passed recognized City and Guild courses as well as holding current Gas Safe registration. Our years of experience installation and repairs along with a transparent and cost effective service has earned us a loyal customer base from which we gain regular referrals. We strive to provide a service in line with current legislation of workman like standard and at reasonable cost. If we don’t fix we don't charge and estimates and quotations are free along with friendly advice.
" We were very pleased with the service that we received from Tony of AM Gas in fitting our new gas boiler. We appreciated the thorough approach all the way through the process from initial visit to completion. 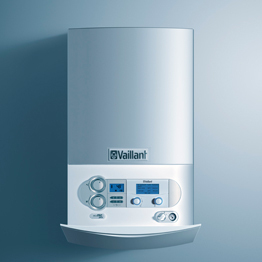 We were thankful also for the advice that we could make a claim through the London Boiler Scrappage Scheme for replacing more highly inefficient boilers which has benefitted our bank balance by £400! Thank you, Graham & Helen, W7"
Super efficient and professional service. Highly recommended. Tony is Very punctual, polite person, Job done really well and in great time. I have never seen that reliable service in my life. Thanks you Tony. I really appreciate, I have done one year service contract with tony as he is very reliable. Thanks again for all your help and especially coming out on Good Friday originally which was far beyond the call of duty. Everything working great now. No more water flowing through the overflow pipe and boiler all good plus of course I can now sit at my desk and have warm feet! 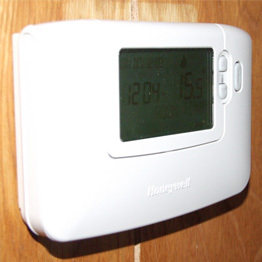 I called for Tony from AM Gas and Plumbing, Ealing to replace a water-heater tank. I can wholly recommend him for the pleasant and great service that he provided and can vouch for the quality and great value of his work. His expertise with the G3 regulations, professionalism, pleasant manner and rates are highly recommended. "We had a terrible water hammer problem with our booster pump and had had 4 different plumbers come to try to diagnose the problem. Tony was fantastic, spent a lot of time trying different diagnostic tests and finally managed to identify the source of the problem. It is rare to find a tradesman who is genuinely helpful and cares - Tony is one and I would not hesitate to recommend him to anyone who needs a decent and honest plumber." Thank you. So, so much. Tony - you worked so hard, so tirelessly, so focused and with such good humours and dedication to make sure everything was to the highest standards. And it is. Everything works wonderfully. The greatest of thanks to you all for making the coming winter warm!!! "I can recommend AM Gas & Plumbing highly enough. We have had the pleasure of working with them for several years and have always found them to be highly efficient, responsive and courteous." "Tony has been to my property twice and on both occasions he has been professional, trustworthy and reasonably priced. I would recommend Tony to any one and I will not hesitate in using his services in the future. " "I must thank you for going the extra mile in replacing my broken shower in so short a time: especially you being able to source the exact same wall tiles and making a finish that perfectly matches the surrounds: no one could tell this isn't the original tiling." 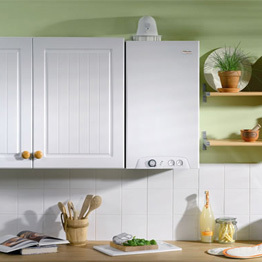 "My Husband and I want to say a big thank you for the boiler and radiator installations in our property. Not only was the service good and hassle free but the call afterwards to make sure all was well was very much appreciated. Thank you once again." A M Gas & Plumbing has done a number of jobs for me to my satisfaction. Tony - just to say thanks for your thoroughly professional, prompt, polite & friendly service - i have absolutely no reservations in recommending you to anyone who needs a plumber who is proud of his work and who understands his customers - you are a credit to your profession. Tony was methodical problem solver - boiler had been knocking and all electric display failed - but working through the issues and replacing two parts gave a very successful site visit. Plus shown how to correct the water balancing (ideal icos condensing boiler). Would highly recommend. I called Tony on Monday morning to explain my situation, he was extremely friendly on the phone and said he would call round later the same day. He was very polite and friendly and completed the job at once. I would have no hesitation in using him again and recommend him to all. Natasha A(23) says: 5/5 Having been let down by a couple of plumbers in the past I would highly recommend this guy. Phoned him last night and he came out the next day and fixed the problem. Excellent service - professional and helpful - thank you Tony . 5 Star Google Review I called Tony after reading his wonderful reviews on Google, and all I can say is that he certainly lived up to them. Warm, friendly, transparent, professional and all at a great price! (the same price that was quoted over the telephone. Keep up the great work Tony and I'll be recommending you to friends and family when your services are required. Tony what can I say the most friendly honest plumber I have ever come across and I am greateful to one of my work colleague who introduced this amazing guy to me when i was looking for a good plumber. He knows what he is doing, he does not gives shock's when invoicing after the job is completed to his and my satisfaction and i cannot ask anything more than this. Keep up yhe good work Tony. Serving all your plumbing & heating needs. From home fixture installations and repair to entire plumbing & heating system installations (or anything in between) we guarantee that the job will be done to your complete satisfaction.